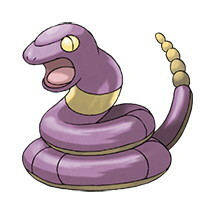 This page contains all the information available for Ekans in Pokemon Ultra Sun and Moon including the moves learnt by level up, egg moves and TM moves. Shed Skin The Pokémon may heal its own Stat conditions by shedding its skin. Unnerve Unnerves opposing Pokémon and makes them unable to eat Berries.